If your garage door isn’t working normally the culprit could be garage door springs. The springs are large springs that are important in opening and closing the door. The function of a garage door spring is to counteract the force of gravity on the door. 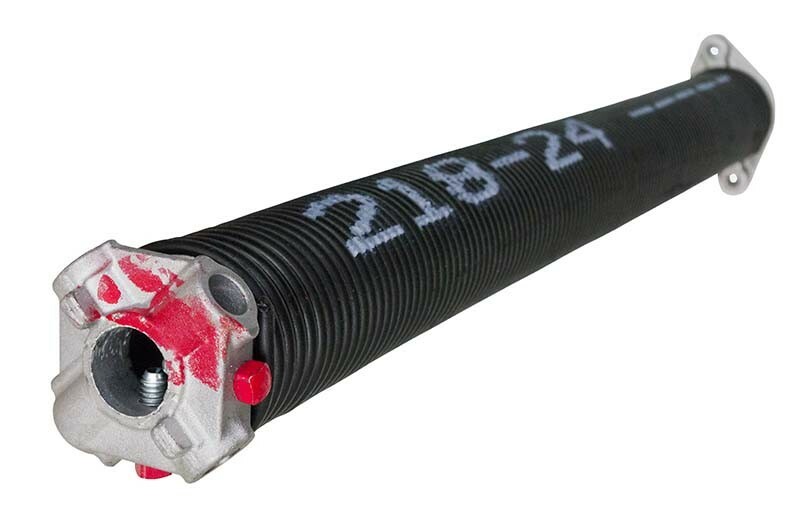 In essence, this means a garage door spring is supposed to make your door light enough for you to be able to lift it on your own, or for the power of the garage door opener to lift it up easily. There are two main kinds of residential garage door springs: torsion springs, and extension springs. Torsion springs are usually mounted directly above the door and sometimes on older homes with less room in the garage they can be mounted to the rear of the garage (“Rear Mounted Torsion”). When installed correctly, torsion springs should balance the door. “Balanced” basically means that the door should take the same amount of pressure to open and close. A properly balanced door should be easy to lift, and freshly balanced springs will stop on each section when the rollers are placed on either side of the radius. Extension springs are mounted above the garage door track in most cases. Sometimes they may be mounted on the sides vertically. They use the pulling force of the spring to pull the garage door upward against gravity. How do you know if the springs are going bad? Age and life expectancy play a big part in determining whether or not your torsion springs are going bad. The average spring life is 7-9 years, assuming 10,000 cycles at 4 cycles a day. However, with the garage door being used as the front door more and more, increasing the daily cycles, springs may last only 4-6 years. On very rare occasions, springs can break in as little as a year. There is no reason this should happen if the proper springs are installed, but it can, so make sure to purchase springs from a reputable company and get a warranty. Usually springs need to be re-balanced within the first two years of being installed. However, if springs are installed when the weather is cold, they will need to be re-balanced sooner than if springs are replaced when the weather is warm. A spring that is in need of a rebalance is generally considered as “failing”, but springs that lose a bit of tension are not necessarily failing. Garage door opener companies suggest one point of reference for determining if the springs are okay and the garage door is balanced. Tthe door should stay in the up position when released from the opener in the up position. Some movement is normal. If either one of the bottom rollers moves past the line between the vertical and horizontal track and stays below the line then the torsion springs are “failing” and must be re-tensioned. Pull the door to mid level position. The door should rest in that position, not moving up or down being supported entirely by the strength of the springs. The first test is important because if the door does not have a natural resting point above the line made by the track, there is a risk the garage door will fall off track due to loose cables on the drum. The opener companies are concerned more with the second test in order to protect the motor and gears from excessive weight. If your door is heavy, and the springs are more than 4-years-old, your springs are in the break range we recommend a spring replacement. If your garaged door is light, then the springs may possibly be the wrong size and you should have it checked out by a professional garage door repair company. Extension springs also have an age and life expectancy of 7-9 years. However along with the symptoms explained above with regard to “failing”, extension springs can often “fail” but never break. If you ever see gaps between the coils of your extension springs, they are failing. Springs lift your garage door with the help of all the other components on your door; the drums, cables, rollers, track, and even the hinges play a part in the smooth operation of your door. If your door isn’t running smoothly, consider safety the number one issue and act accordingly. Do NOT attempt a DIY repair. People have been maimed and some even killed from trying to fix their garage door springs. Torsion springs are the most dangerous, but even the extension springs can be dangerous – when they are extended they are stretched to potentially deadly force. 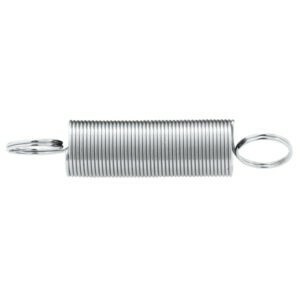 Remember these springs lift a 400-pound door. Prices for replacement garage door springs usually start around $69.00 installed. That is much cheaper than a hospital bill. If you do not replace your bad springs there is a greater likelihood of other parts on your garage door to have problems. If you have any concerns about your garage door springs, give us call 303.565.6409. We can help.